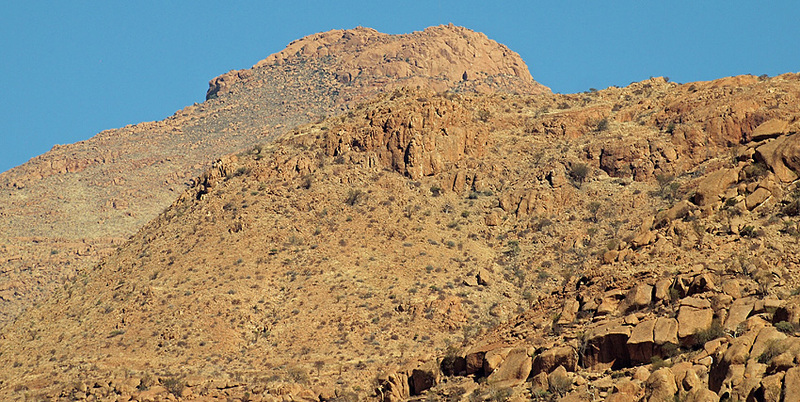 Brandberg is the highest mountain in Namibia. It covers an area of 650 km² and the highest point is 2573 meters above sea level. The name is German and means “fire mountain”. In Damara language it is called Dâureb, meaning “burning mountain” and in Herero language it is called Omukuruvaro, meaning “mountain of the gods”. It is an impressive mountain and you will see it from a long distance. We spent the night on “Brandberg Rest Camp” in the small town Uis 30 km east of Brandberg. When we woke up in the morning we could see the reason of the name. The mountain looked as if it was on fire. 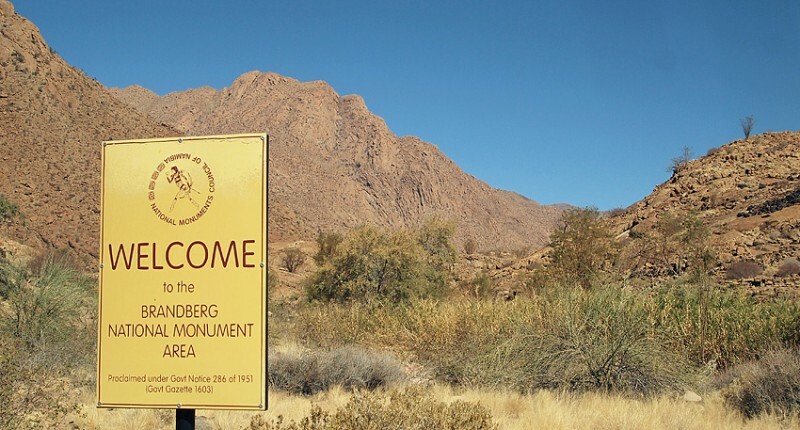 Brandberg is a big chunk of granite that was pushed up from the inside of earth some 130 million years ago. As you come closer you see some of the many gorges into the mountain. In many of these gorges rock paintings can be found in rock shelters. 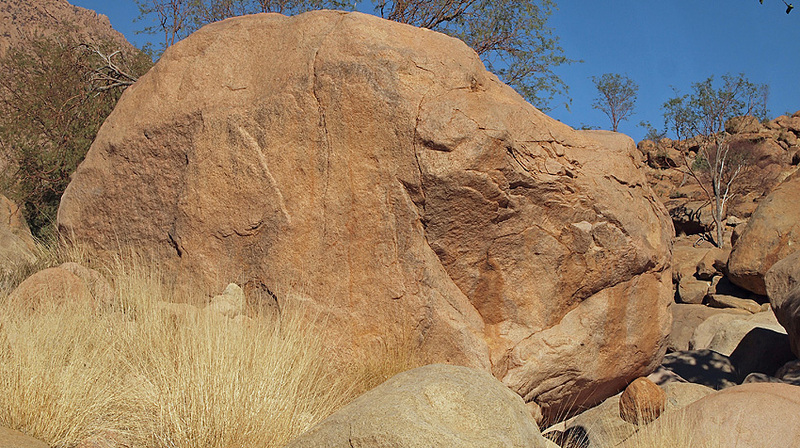 Brandberg has some 1000 sites with a total of some 50 000 rock paintings. 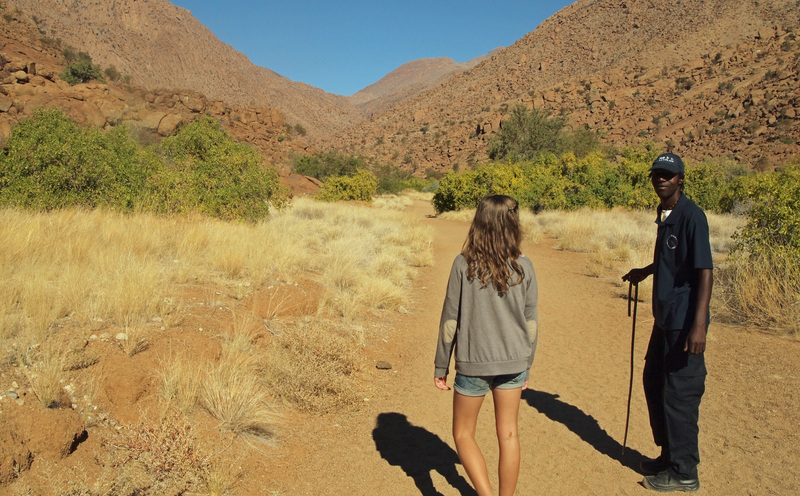 On the picture above one such gorge is seen to the left – the Tsisab Gorge – and that is the one we were to follow. At the entrance to the Tsisab Gorge are a few buildings. You pay a small fee and you get a guide. You are not allowed to walk in here without one. The “Brandberg National Monument Area” is on UNESCO:s World Heritage tentative list since 2002. 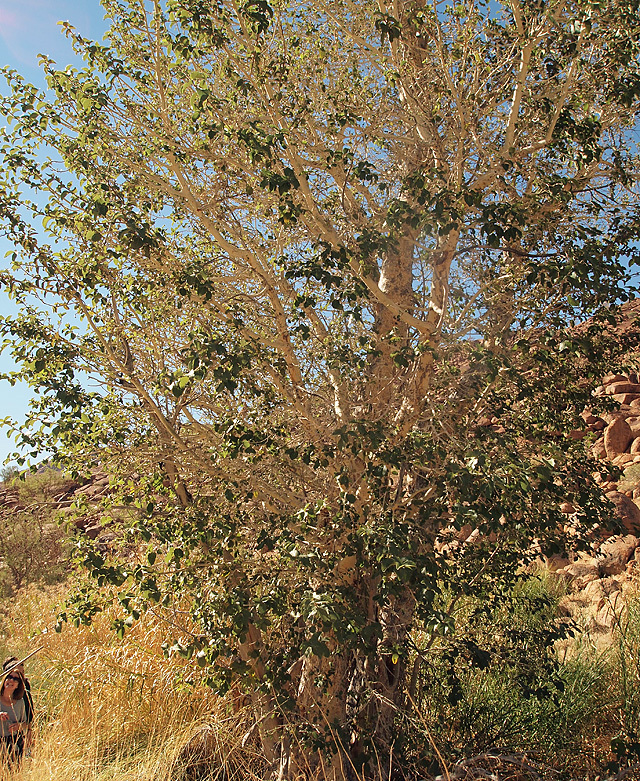 This walk in the Tsisab Gorge is a 45 minute walk leading to the Maack Shelter where you can see the famous “White Lady” rock painting. On the way our Damara guide told us about some of the fauna. Above you can see the “Brandberg Acacia”. It is only found in this area and its straight branches makes it perfect for building the typical Damara houses. 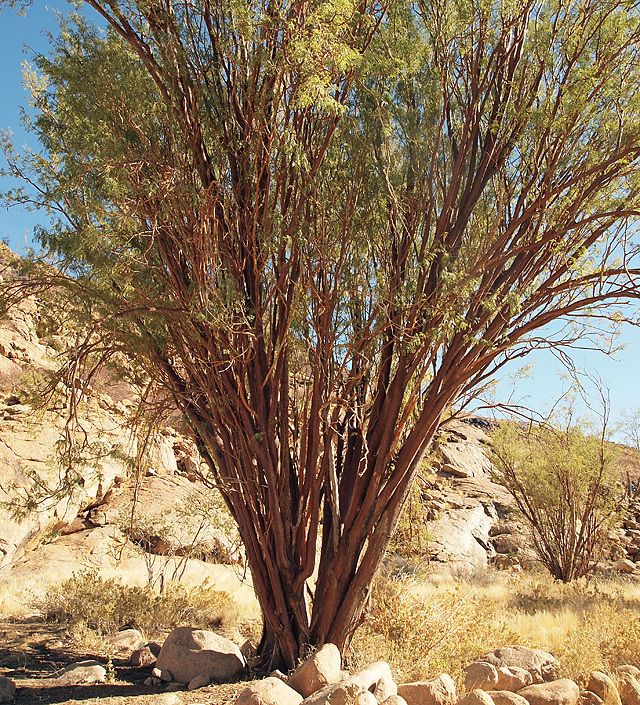 The next photo shows “Ironwood”. Its wood is so heavy that it doesn’t float. The Herero people uses the wood to make their “holy fire” because the wood will burn for a long time and the afterglow is even longer. 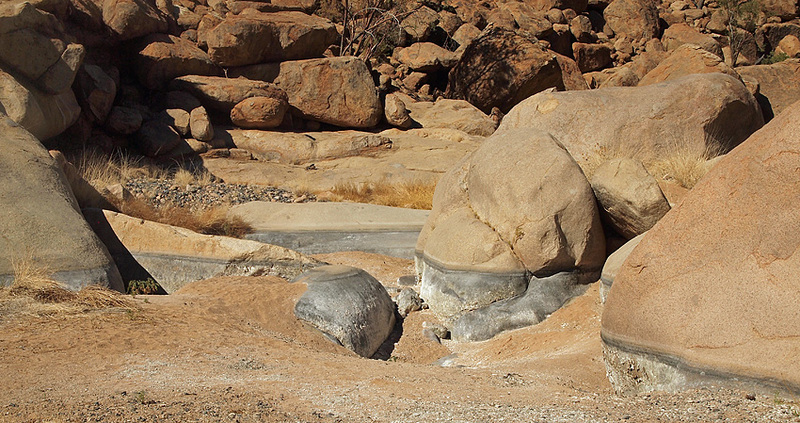 This rock is called the “Baboon Head Rock”. The reason the rock paintings are found in these gorges is that water can be found here, often all year around. This year did not bring much rain but the waterline from last years heavy rains can still be seen on the rocks. At the end of our walk, where the “White Lady” can be seen, we also saw the highest point of Brandberg. This is the Königstein and it is possible to walk up to it. The papyrus grass is proof of water in the gorge although no visible water is there. 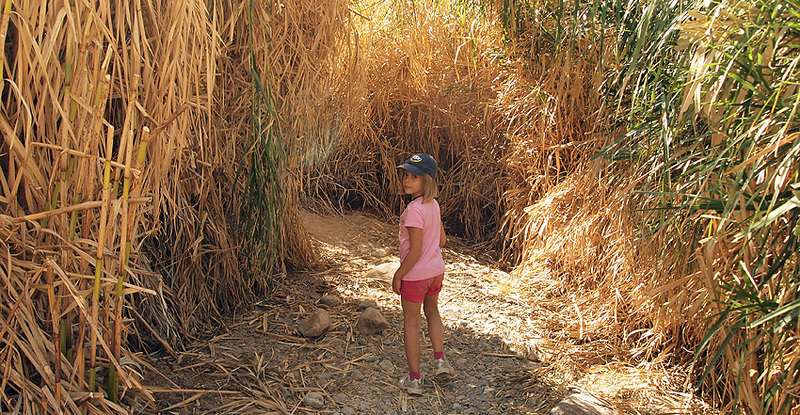 The two times 45 minutes walk is partly done in a little bit of rough terrain but it is not a difficult walk.